DEBKAfile REPORTS BUSH MAY HAVE DECIDED TO USE NUCLEAR WEAPONS IN BOTH AFGHANISTAN AND AGAINST IRAQ! Title: DEBKAfile REPORTS BUSH MAY HAVE DECIDED TO USE NUCLEAR WEAPONS IN BOTH AFGHANISTAN AND AGAINST IRAQ! Subtitle: Two days after the 9/11 attack, Bush officials warned that we would use all weapons in our arsenal to fight terror and would "end the states" that support such terror. Iraq may be the first national casualty and would fulfill Bible prophecy were she destroyed by unconventional weapons. NEWS BRIEF: "US Withdraws, Leaving Afghan Battle Unresolved: Is Tactical Nuclear Option Open? ", DEBKAfile Special Military Analysis, 10 March 2002. "Sunday, March 10, the United States unexpectedly ordered 400 US troops lifted out of the battle area south of Gardez in the Afghan Paktia province. As helicopters carried the troops back to Bagram airbase, a US spokesman announced that the major part of the offensive against the al Qaeda and Taliban stronghold was over and American troops were in the process of repositioning. But, he insisted, the fight was not over yet. DEBKAfile's military analysts suspect that this pullout is the first stage of the withdrawal of the bulk of the 1,600 US troop-force fielded for Operation Anaconda, the largest US-led offensive ... Given the setbacks in Tora Bora and the Shah-e-Kot Valley - for lack of intelligence and reliable Afghan allied troops - US military planners may lean further towards the use of tactical nuclear weapons to finish off the Taliban and al Qaeda strongholds still defying conventional means of warfare." Certainly, the abrupt withdrawal of American forces from the field of battle while the battle is still raging and while the end result was still not decided, is a likely scenario for the sudden use of tactical nuclear warheads against the entrenched enemy. U.S. forces could not be deployed in a forward position when tactical nuclear warheads explode, or they will be wiped out along with the enemy. Conversely, when the Afghan soldiers saw the abrupt withdrawal of American forces during the heat of battle, the more seasoned and experienced among them must know that the withdrawal might not mean victory but rather the use of a far heavier, far more powerful, weapon: the tactical nuclear warhead. While the use of tactical nuclear devices in Afghanistan would certainly shock the world, we have been given fair warning. Consider the news stories that have come out since 9/11 that should have prepared us for this outcome. NEWS BRIEF: "Stage Set For Attack", by Susanne M. Schafer, Associated Press, The Sun Chronicle, Friday, September 14, 2001. Later, Wolfowitz stated that the United States would use all the weapons at its disposal in this global battle against terror. Both Bush and Wolfowitz made veiled threats to the other nations of the world to join us in this battle, for if you are not with us, you are against us! Almost immediately, a most unlikely "ally" emerged -- Russia! NEWS BRIEF: "Tactical nuclear weapons deployed: US and Russia Strike Reciprocal Deal on Tactical Nuclear Weapons Deployment Against Afghanistan and Chechnya", 6 October 2001, DEBKAfile. Indeed, such an agreement between America and old-time nemesis Russia to allow each other to deploy such a wide range of nuclear weapons in the theater each one is presently militarily engaged, is a huge shift in worldwide balance of power and of diplomacy. Never, ever, could anyone imagine that Communist -- now Socialist -- Russia would ever agree to allow America to deploy nuclear weapons so close to Russia's borders, or to use them against Muslims, many of whom live in Russian republics! In just a few weeks after the 9/11 attacks, American officials have told the peoples of the world that we are going to "end states" that sponsor or support terrorism, and that we are going to use all the weapons in our arsenal; then, shortly thereafter, Bush reaches agreement with Putin that we can use nuclear weapons in Afghanistan if he can use them in Chechnya! Now, almost exactly 6 months after the initial attack, DEBKAfile is reporting that U.S. forces have abruptly withdrawn from the field of a hot battle, and that this withdrawal may signal the imminent use of nuclear weapons on the Afghan positions! We already know that Russia will do nothing substantial to either prevent this attack, or to retaliate against America after we do use nuclear weapons in Afghanistan. Bush will have just carried out his agreement in principle with Putin! BIBLE PROPHECY IN THE VALLEY OF JEHOSHAPHAT "BEFORE THE DAY OF THE LORD COME!" 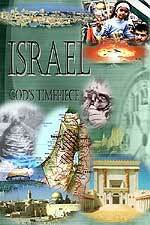 "I will gather all nations and will bring them down into the Valley of Jehoshaphat, and there will I deal with and execute judgment upon them for their treatment of My people and of My heritage, Israel ..." [Joel 3:2] Notice that God says He will bring ALL nations into the Valley of Jehoshaphat, which is a generic term for Middle East. Therefore, God is saying that He will bring ALL nations into the Middle East for judgment after He restores Israel and Jerusalem. He will bring all the nations -- including America -- into the Middle East for judgment. I missed this little fact. New World Order plans do not specifically call for American troops to be on the ground during this upcoming Third World War. But, the Guiding Spirits of New World Order leaders were listening to God's prophecies closer than was I. America seems on her way to committing major forces to this conflict, in support of Israel. What will happen during this time period of judgment? God is not silent on this score, either: "Proclaim this among the nations: Prepare war! Stir up the mighty men! Let all the men of war draw near, let them come up. Beat your plowshares into swords and your pruning hooks into spears; let the weak say, 'I am strong [a warrior]." [Joel 3:9-10] God's judgments in this time period shall be war and more war. To emphasize this point, God reverses the promise He made in Isaiah 2:4, this time telling all the nations to beat their implements of peace into implements of war. "Let the nations bestir themselves and come up to the Valley of Jehoshaphat, for there will I sit to judge all the nations round about." American leaders have "bestirred themselves", they have heard the Divine siren call to commit forces to the Middle East for the beginning of God's judgment. Even though the Middle East has known 5 major wars, and many smaller ones, since 1948, it has not seen anything yet. The greatest blood spillage of all time is about to begin, and apparently, it begins with the Arab fighting Israel. What kind of war will this coming engagement be? "Put in the sickle for the [vintage] harvest is ripe; come, get down and tread the grapes, for the winepress is full; the vats overflow, for the wickedness [of the peoples] is great. Multitudes, multitudes, in the valley of decision. For the day of the Lord is near in the valley of decision." [Joel 3:13-14] Therefore, we are told to expect "multitudes, multitudes " in the Middle East. This is the beginning of what we are apparently seeing: Israel is fully mobilized, as is Syria, Egypt, and the Palestinians. Throw in Iraq for good measure, and Iran. Russia is waiting at the border of Chechnya to enter the fray. American troops are now fully engaged in Afghanistan, and reportedly may be about to use tactical nuclear weapons! However, some Bible scholars believe that the Valley of Jehoshaphat refers generally to the Middle East, with Israel featuring prominently in the region. Certainly, as we look at Iraq, we see an implacable foe of Israel. Modern-day Iraq is ancient Babylon, from which God brought the devastating judgments of King Nebuchadnezzar because of Israel's sins, and from which Satan sprang the terrible Satanic Mysteries Religion that has so polluted the world ever since the days of Nimrod [Rev. Alexander Hislop, The Two Babylons]. Since this DEBKAfile report says that President Bush may be planning to use nuclear weapons against Iraq, let us now turn our attention to that country. We will be quoting again from this DEBKAfile report, above. ARE NUCLEAR WEAPONS ABOUT TO BE USED AGAINST IRAQ? "The turn of events in Paktia brings forward the prospect, revived this week, of the use of tactical nuclear weapons in the global war on terror. (This possibility was first disclosed in our intelligence newsletter DEBKA-Net-Weekly in early October 2001, three times in the course of the same month in DEBKAfile and again on November 26, 2001). This week the Los Angeles Times reported that President Bush had ordered the Pentagon to draw up contingency plans for the use of nuclear weapons and a list of seven nations for targeting: Five - North Korea, Iraq, Iran, Libya and Syria - are either terror sponsors or developers of weapons of mass destruction. In this statement by Deputy Secretary of State for Disarmament, John Bolton is decidedly "diplomatically vague". He said, "... Washington had decided to depart from its traditional policy of nuclear non-use against non-nuclear powers." What on earth can that possibly mean? Since two negatives in one sentence equals a positive, Bolton was literally saying, "Washington had decided to depart from its traditional policy of never using nuclear weapons against a nation that possesses no nuclear weapons." This is a terrible departure from standard American policy ever since the first atomic explosions that ended World War II! In fact, this is the kind of policy change that can literally bring the world into World War III. This is the kind of policy change that can ultimately result in the devastating wars of Seals Two, Three, and Four of Revelation 6. Notice God's prophecy that this annihilating army was being mustered from a "distant country", from the "uttermost part of the heavens", and that they will be comprised of the "kingdoms of the nations". Clearly, the coalition of forces that President Bush assembled to attack Iraq in the 1991 Gulf War fits this bill perfectly; in fact, until the moment Bush pulled our forces off Saddam Hussein, I thought this was the war that would fulfill this prophecy completely. But, when Bush spared Hussein, I knew that the complete fulfillment of this passage would await another day, another war, another assembly of forces arrayed against Iraq. Let us now go on as God describes the unprecedented warfare by which He shall "destroy the whole land". God plans to "seize and destroy the whole land" of Babylon [Iraq] by assembling a powerful force from the "distant country", a force comprised of the "kingdoms of the nations", and this force will deliver a war that is "unprecedented". Certainly, a nuclear war from the coalition of forces comprised of the United States, Britain, Turkey, Israel, and some of the nations of the Middle East would comprise a force that is capable of delivering the kind of "unprecedented warfare" God has foretold. In fact, nuclear weapons are so terrifying and devastating that they would very quickly "destroy the whole land". They would deliver the kind of judgment that would cause the people of Iraq to be "dismayed and terrified", to be seized with "pangs and sorrows", to feel as though they were women in childbirth, and to "stupified and aghast at one another", with faces aflame from the effects of the unbelievable warfare! Clearly, the wording of this passage absolutely parallels the wording in Matthew 24:21, 29; Luke 21:25, and the Book of Revelation. God will shake everything on the earth that can be shaken, so He can kill the sinners out of the world and prepare the world for Jesus' Millennial Reign. The sequence of prophetic events here seems to indicate that this unprecedented war will utterly destroy Iraq, but that out of this war will come the other wars that will bring the entire End of the Age prophecies concerning Antichrist and his 7-Year reign [Tribulation Period] into existence. God makes an abrupt transition in Isaiah 13:9, when He suddenly begins speaking of destroying both Babylon [Iraq] and the whole earth. It is as though He telescopes from focussing on Babylon alone, to then focussing on the whole earth. This is the plan to bring all nations of the world to the point where Antichrist can arise, out of the smoke of dust of the Third World War, in exact fulfillment of Jesus' prophecy, "wars and rumors of wars, nation rising against nation, kingdom against kingdom" [Matthew 24:6-7]. That time period has never seemed closer. Are you spiritually ready? Is your family? Are you adequately protecting your loved ones? This is the reason for this ministry, to enable you to first understand the peril facing you, and then help you develop strategies to warn and protect your loved ones. Once you have been thoroughly trained, you can also use your knowledge as a means to open the door of discussion with an unsaved person. I have been able to use it many times, and have seen people come to Jesus Christ as a result. These perilous times are also a time when we can reach many souls for Jesus Christ, making an eternal difference.